My beginnings are a bit of a mystery, even to me. I remember, as a kitten, being with my mom and three brothers, but not in a home. We lived outdoors with other cats. I rather enjoyed exploring outside the ravine where we lived. And one day, when I was a bigger kitten, I guess I traveled too far because I couldn’t remember how to get back to my mom. I’ll never forget that day. I was so frightened, especially when it got dark and there was nothing to eat. I didn’t know if I should hide myself or keep searching for my family. Before I could decide, another much older cat found me. He wasn’t particularly friendly, but he wasn’t mean, either. I decided to hang out with him and ultimately followed him to a house where other cats like me lived. They didn’t live inside the house, mind you, but outside, under the house. A human named Colbi lived in the house and she fed the cats every day. She started feeding me, too. She even gave me a name. But it wasn’t Dolly. That name came later. One day I woke up not feeling very well. I didn’t have the energy to play or explore. I didn’t even feel like eating. About the same time, Colbi left and didn’t come back for many days. Before long, a man came to feed us. He’d come every day and fill our bowls with food and water. One day he saw me watching him and he began watching me back. He seemed to know something was wrong with me and he tried to grab me. I was frightened, but too weak to fight. So I ended up in his large hands. It was cold and I was shivering, so he tucked me inside his jacket. That was a nice warm place to be. Then he drove me someplace and gave me to another man who took care of me until I felt better. His name was Dr. Michael Ivey—a veterinarian. When I was better, the other man, Damon, came back and got me and took me to live inside his house for a while. I didn’t mind. I quickly learned that it sure is easier to live inside with people who pet you and feed you than living outside with all of the dangers, rain, and uncertainty. Colbi finally came home and when she did, she took me to live at Rags’s house with her for a while. You see, she’d been through something horrific and needed time and space to heal. She said I was helping her heal. I was glad to have a job. And it was such a happy one. Rags and I made friends right away. He’s one cool cat. I was only about four months old when I met Rags, but I knew right away that I wanted to grow up to be a girl version of him. I haven’t solved any mysteries yet, but I suggest you keep reading this series of books, because it could happen. My one claim to fame, so far, besides being adorable and irresistible and smart—oh and athletic, is the time I “found” a picture in a purse. I didn’t know I had done anything special. In fact, I was pretty sure I was going to be in trouble. Rags sometimes gets in trouble for snooping in ladies’ purses. The lady belonging to this purse, however, was no lady—but then that’s for another story and another time. To find out how my discovery helped solve a small mystery around the larger mystery, you gotta read our latest book, The Colony Cat Caper. Yes, I think I’ve got what it takes to be a crime investigator and maybe one day I’ll be publicly recognized by the sheriff’s department like Rags was. You know he’s gonna star in a movie. Ooops, I may be talking out of turn. That story hasn’t been published yet. 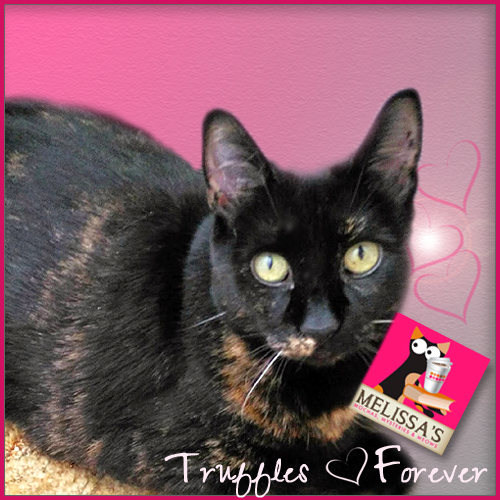 Well, Truffles, thanks again for inviting me to tell my story. I hope your admirers enjoy it. I’d better get back to what I do best—run and tumble up and down the stairs, summersault off the last step, and play hide-and-seek behind the curtains and under the sofa cushions. Colbi and Damon think I’m sometimes playing with imaginary cat friends. Maybe they’re right. I’m not telling. But at the end of the day, I sure do love cuddling up with my favorite people and getting a gentle tummy rub. I love my people. I just wish that all of our kind—all cats everywhere—could live in a nurturing and safe world like we do, don’t you, Truffles? Available now: "Catnapped," "Cat-Eye Witness,"
About The Colony Cat Caper: Savannah Ivey, a veterinarian out on maternity leave; her aunt Margaret, the founder of the Hammond Cat Alliance; and Colbi Stanton, a reporter for the local newspaper take on a cat colony at an old, abandoned building. Odd activity around the place makes them wonder if it actually is vacant; some believe it’s occupied by something other-worldly. 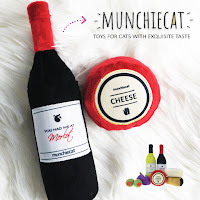 When a stranger comes to town and suggests the Alliance open the old building to a fund-raiser, everyone gets involved, including Rags, Savannah’s kleptomaniac cat. He finds something that day that stirs a lot of people—both law-abiding and crooks—into action. Are the feral cats and their caretakers in serious danger? What (or who) lurks inside the old building? What secrets does it hide? And who has the key that unlocks the mystery? 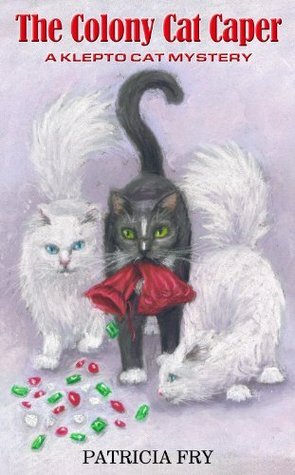 Giveaway: Patricia is generously offering one lucky commenter THREE Klepto Cat Mysteries in either Kindle or print. (Only Catnapped, Cat-Eye Witness, and Sleight of Paw are available in print.) Contest ends at noon eastern on Wednesday, July 30th. 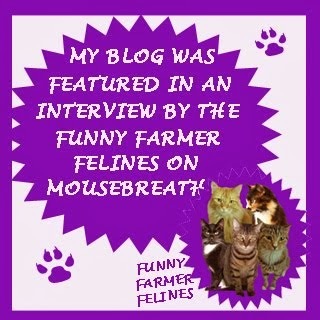 This is a great example of an author guest post! Always happy to support a fellow CWA member. Melissa, Thank you for the opportunity to share my latest book and sweet Dolly with your visitors. 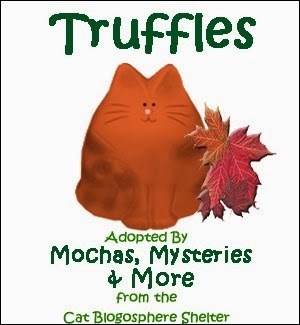 You and Truffles have a fun premise going on here, featuring 3 of my favorite things, mochas, mysteries, and, of course, meows. Oh that sounds like such a fun book. We would love to be able to read that and the others too. Thanks for this great review. Have a great day. Dolly sucked me in. The more I read, the more I want to know what happens to her. Count me in on this drawing. dz87507 at gmail dot com. Sounds like a great read for our Mom! Oh how PURR-fect...a cat main character "CAT-apults" this series to the top of my list! Can't wait to get my PAWS on these books! Thanks Truffles, Dolly, Melissa & Patricia. Love this cover and synopsis! 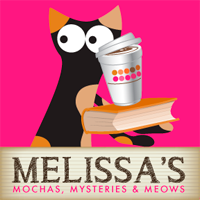 Cozy mysteries are my all time fav genre! Great to have a new author to add! 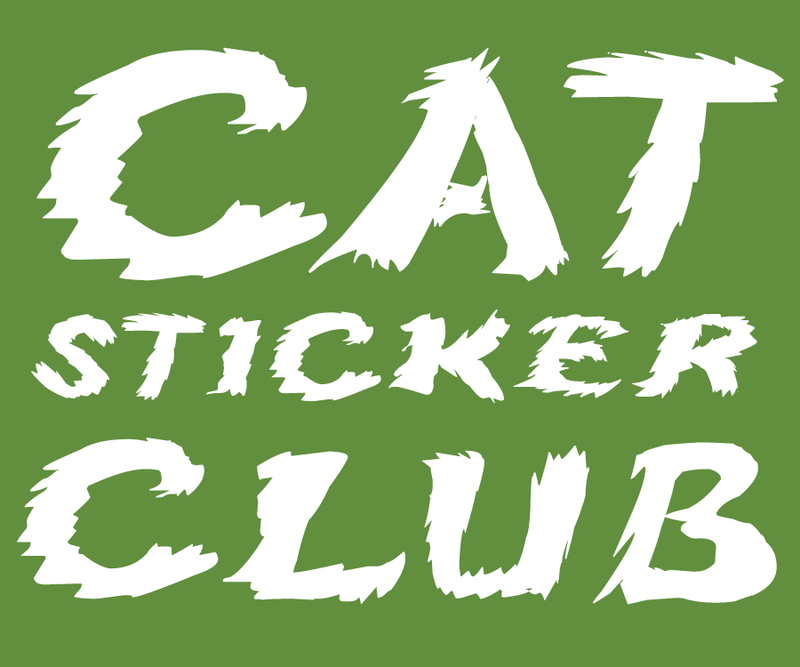 Klepto Cats - would love to read in print! I want to learn more about Dolly and how the cat colony fits into this mystery. These books sound WONDERFUL! Oh Peepers... Pass me your credit card, would ya? I need to order somethin', right away. Nissy #Nissy4Senate - Tell the PM, today.